The temperature reached 85 degrees that day. Police in North Charleston, South Carolina, are investigating the death of a baby boy who was left in a hot car all day on Tuesday. The temperature reached 85 degrees that day -- 11 degrees above normal. 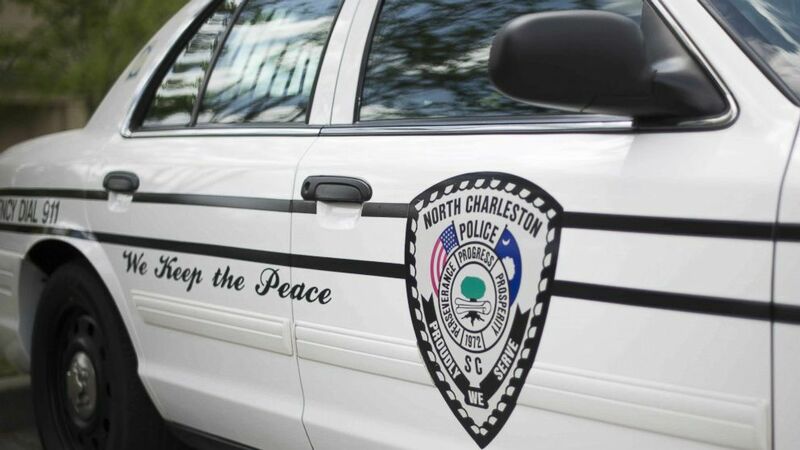 The baby's father told authorities that he left his home Tuesday morning and was supposed to drop him off at daycare, but he forgot and drove to work, the North Charleston police said. The man's wife arrived at the daycare Tuesday evening and learned her baby, who was 10 months old, wasn't there, police said. She immediately reached out to her husband, who checked his car and found the infant inside and unresponsive, police said. The father took the baby to a nearby hospital, where he was pronounced dead, police said. (Jim Watson/AFP/Getty Images, FILE) A police car is parked outside the North Charleston City Hall in North Charleston, S.C., in this April 8, 2015 file photo. Police have not identified the father nor the baby. While the coroner's office is still investigating the cause and manner of death, David Diamond, professor of psychology, molecular pharmacology and physiology at the University of South Florida, says scientific studies of the brain prove that Forgotten Baby Syndrome does exist. "It's where the parent completely loses awareness that the child is in the car," Diamond told ABC News in 2016. "It's our brain habit system. It allows you to do things without thinking about it. That plan we have to stop a habit seems to get suppressed. We lose awareness of our plan to interrupt that habit. These different brain systems actually compete against each other." Under circumstances of sleep deprivation or stress, Diamond said that parents can default to repetitive actions. For example, a routine drive from home to work, instead of home to daycare, is performed automatically, he explained. "You sort of go in autopilot mode," Diamond said. However, Forgotten Baby Syndrome has also been used as an excuse. In 2016, Justin Ross Harris was convicted of the murder of his 22-month-old son, Cooper, who died after he was left in Harris' hot car in Georgia for about seven hours. Harris' attorneys had argued Cooper's death was an accident and that Harris failed to take Cooper to daycare and he left Cooper in the car. But prosecutors said Harris purposefully left Cooper in the car so he could escape his family and his responsibilities.